Set 7 pcs. Symphonia Cupra colletion by Ruffoni. 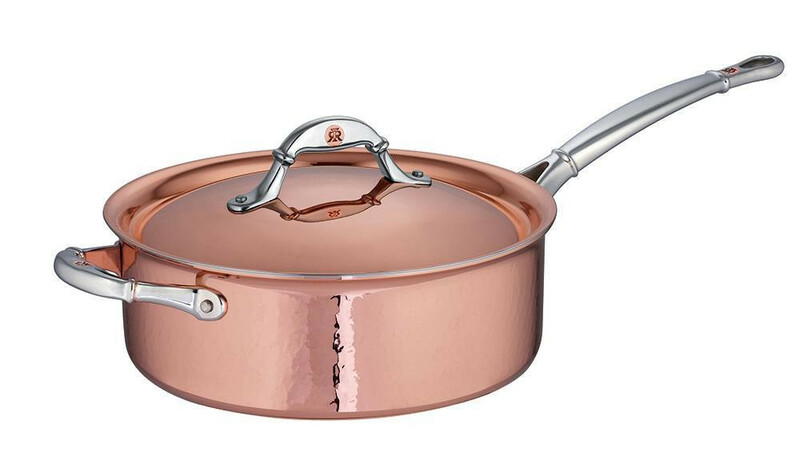 This 7 piece set is an irresistible selection of stunning copper pots and pans created by master coppersmiths from the Ruffoni Company. The collation of a large Stockpot , large Braiser, and Satué pan, all with tightfitting lids and the highly versatile Frying Pan will open up a wonderful cooking experience that will last for years. 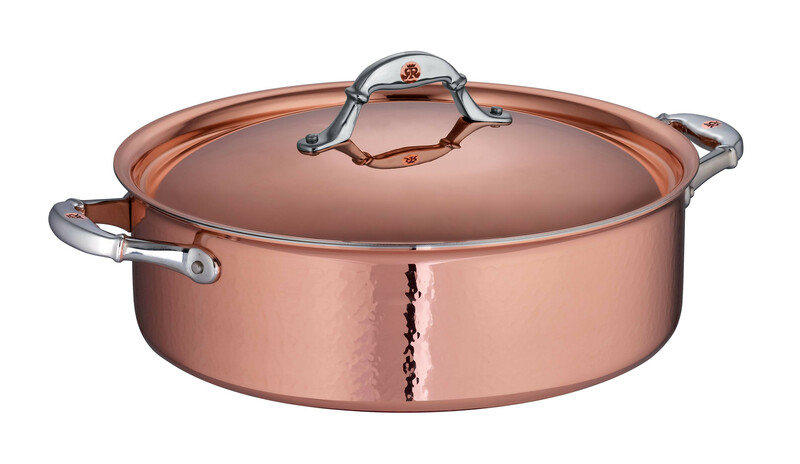 You can enjoy creating dishes with this amazing array of copper cookware that conducts heat quickly and uniformly across all sides so that hot spots are avoided and a lower energy saving flame can be used. Durable, easy to clean and created with a stove to table presentation, this is a winning combination that you just can’t ignore. 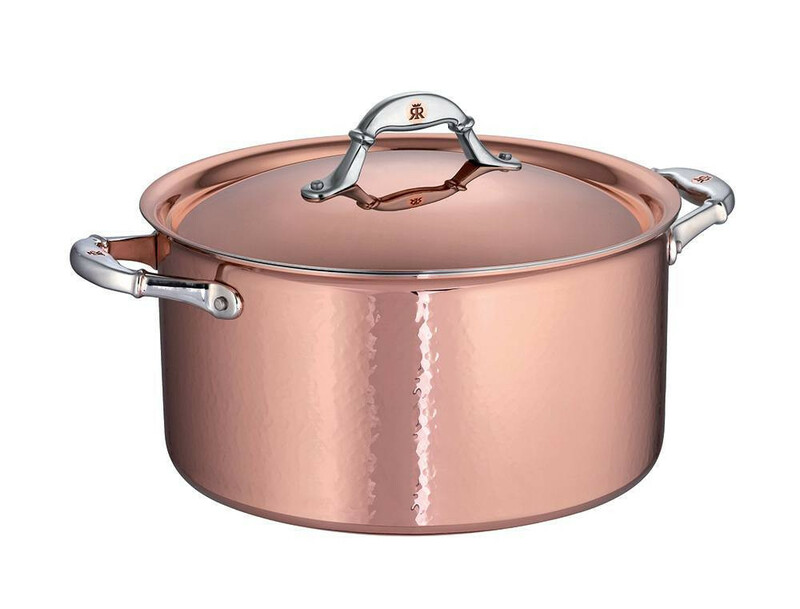 Available at our amazingly low price, this seven piece set of copper kitchenware can be found in our online store along with other stunning pieces from The Ruffoni Symphonia Cupra range.